Without specific and explicit design decisions about not only the network architecture but also network operations,enterprises risk drifting toward a future of many clouds, each with their own operational nuances. Those who are not mindful about managing new additions increase the complexity of their network with each variation. 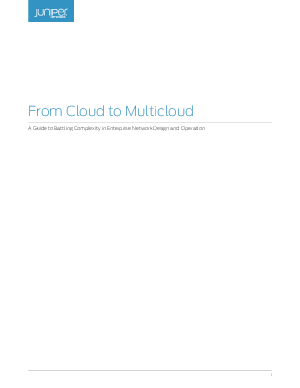 This white paper discusses how to approach the design of the network and operations in the move from cloud to multicloud. The focus is on meeting the business needs of today and tomorrow, battling complexity, preserving the possibilities for options, and supporting IT’s role as the steward of technology decisions for the business.